Have you seen the lost and found at your child's school? I have. It makes me furious to know that children are so careless with the items in which their parents have worked so hard to purchase. I guess they figure it's not their money, so why should they bother being responsible? Ugh! It burns me up. Normally, I label all of my son's back to school items with a permanent marker. In fact, it is a requirement by the school that children have at their name written in clothing items in case they are lost and hopefully found (see first paragraph). As a consignor, I know how weird it can be to have another person's name on the tag in your clothes. Thank goodness there are companies like Mabel's Labels who feel our frustrations and have helped eliminate this problem among others. 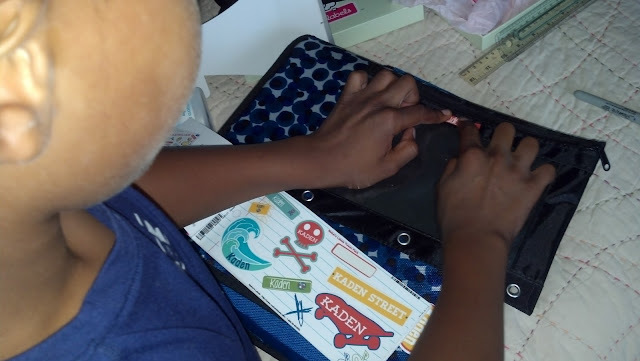 This year, Kaden used the Mabel's Label Tween Pack to mark the items that belonged to him. First names on labels are printed exactly as typed, to a maximum of 10 characters. **Sorry, this product is currently available only in English. Students have returned to school and are starting to embrace another year of adventure. 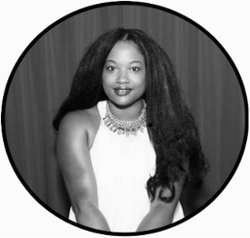 Most of the first week of school consists of settling, organizing and adjusting. That started with school supplies for us. 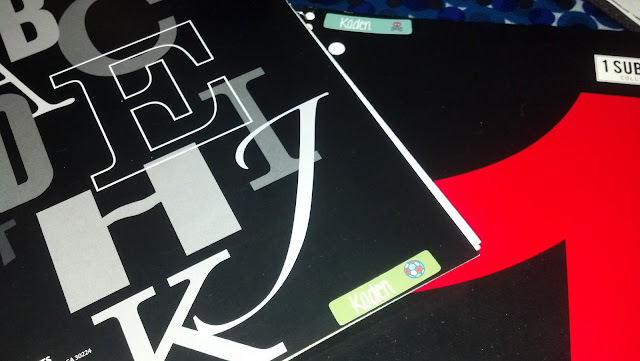 Kaden was able to use the Tween Pack labels on just about all of his items. They worked on his binder, pencil case, spiral notebooks, on the inside of his book bag and more. 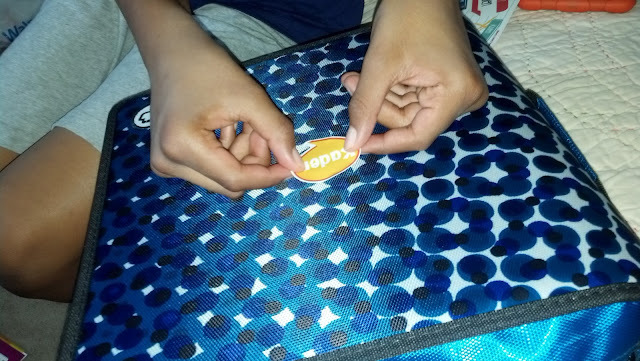 He simply peeled them off and stuck them onto the item. No mess. No fuss. Just ease. I liked that the labels saved us time. No longer did I have to practice perfect penmanship or cram a string of letters onto a tiny section in a folder. The labels were a breeze. I also liked the different designs and sized for each label. 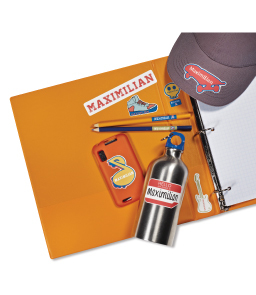 Items as small as pencils could be labeled, as well as items as big as a binder because of the varying sizes. 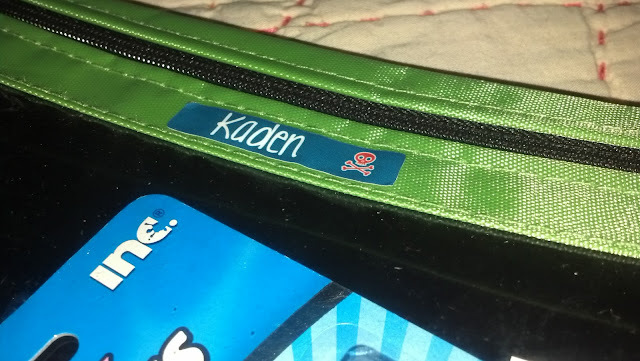 Also, if Kaden makes a mistake or changes his mind about the placement of the label, he can easily remove it from his item and fix it. You can't quite to this with a permanent marker. 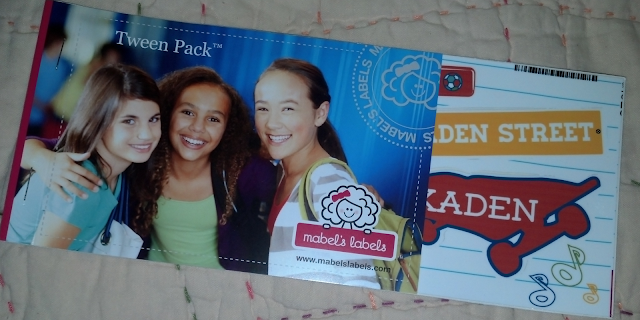 Overall, the Mabel's Label Tween Pack was an asset to us this school year. I would recommend you try them out for your child to see if you notice a difference in the amount of time you spend labeling and the effectiveness of the labels. They will run you about $21. Being a frugal shopper myself, this price isn't the most pleasing. 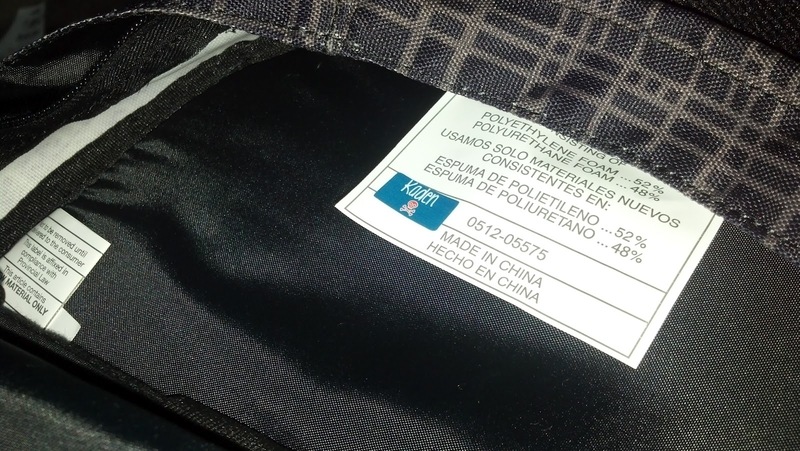 However, if you consider the amount of protection you'll provide by labeling your items, the cost seems like pennies. 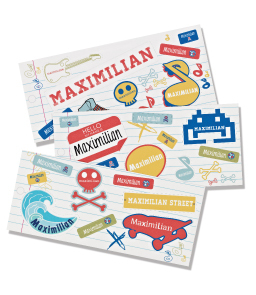 I'm not a huge fan of over-priced fundraising, but you may want to consider an alternative to the traditional school fundraiser by trying Mabel's Labels. It beats the usual $14 wrapping paper, $20 bag of candy route. 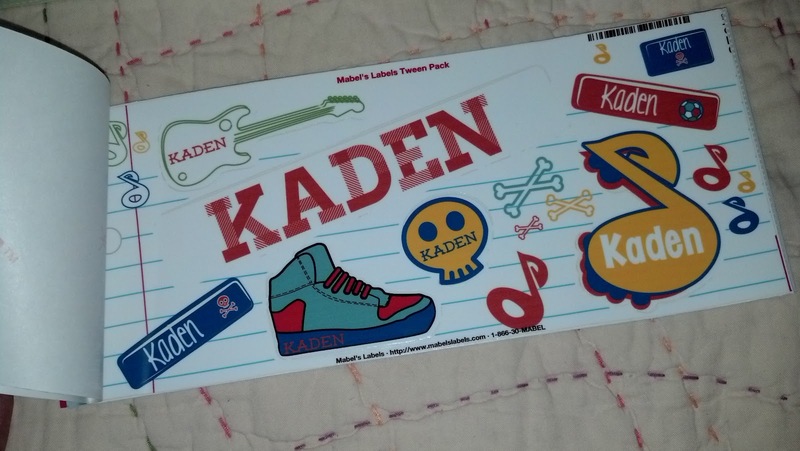 Kaden still has a few labels left in his Tween Pack. Perhaps he can stick one on his head, so I can stop calling him, "boy". 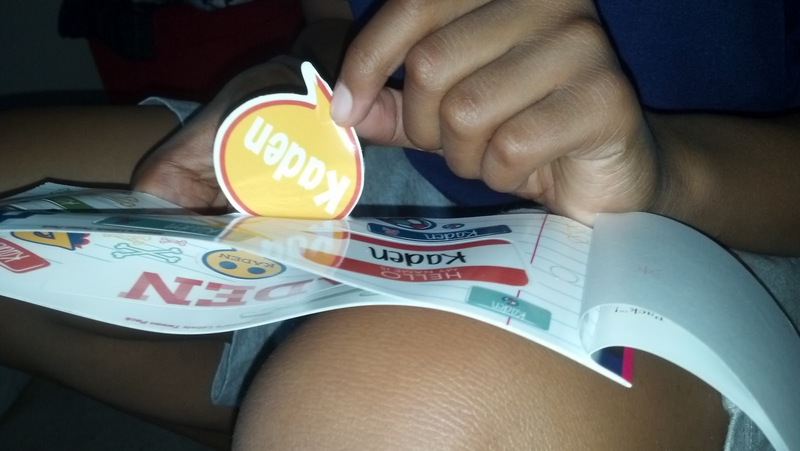 Mabel's Labels sent me a Tween Pack for my son to try out, thanks to my membership in the Global Influence community. The opinions and views are my own.